Excited! I’m attending my first #OutWriteDC conference this year…and I’ll be kept quite busy! 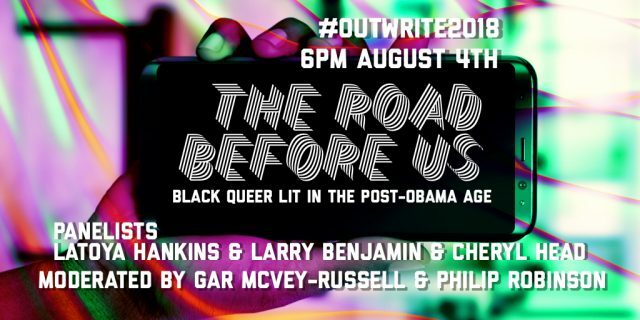 I will co-facilitate a panel with legendary poet Philip Robinson entitled The Road Before Us: Black Queer Lit in the Post-Obama Era. Joining us on the panel will be La Toya Hankins, Larry Benjamin, and Cheryl Head. Please join us! Our panel happens at 6pm on Saturday, August 4 at The DC Center for the LGBT Community: 2000 14th Street NW, #105. I can’t wait for our conversation! 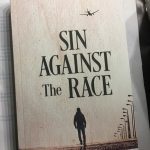 Additionally, I will read from my novel Sin Against the Race also on Saturday, August 4 at 1pm in the Downstairs Reading Room. I have a long history with OutWrite. OutWrite ’90 in San Francisco was the first queer writers’ conference in the US. And I was there. I saw Allen Ginsberg bounce on his feet excitedly as he read poetry and Judy Grahn talk about our histories. Her book, the legendary Another Mother Tongue, was among the first queer books I bought after coming out. I attended two OutWrites in San Francisco, and then it moved back east. I went to one of those in Boston in 1998. My thanks to Dave Ring, OutWriteDC organizer, for allowing me to join the party. In addition to attending this legendary event, I’ll get to see DC for the first time. Please come join us for the many lively, provocative, and fun events!